Many operators have castable-lined holding furnaces for their high pressure aluminum die casting machines. 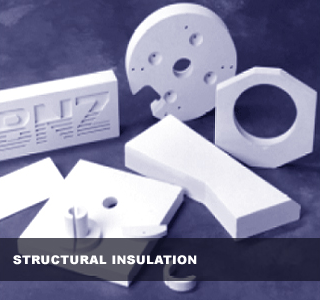 It is our intent to state the advantages for selecting and using calcium silicate boards from BNZ Materials, Inc. as opposed to castables. The majority of this information has been accumulated from everyday, real-world experiences, and is supplemented by some “theoretical/typical” calculations and facts. Hopefully, a prospective user will recognize one or more stated features and benefits for their particular operation and try our board system on their next rebuild, or even specify it for their next OEM purchase. CASTABLE CAN PROVIDE THE SAME ENERGY PERFORMANCE AS A BOARD LINING. For the same thickness of castables vs boards, the BNZ Materials’ board system yields a cold face temperature 32% lower (148°F vz 220°F) and correspondingly 59% lower heat flow vs castables. In addition, heat storage is reduced about 73%. This results in quantifiable energy and cost savings based on furnace dimensions and unit energy costs. This heat flow calculation shows that an additional 7+ inches of refractory construction are needed with a two-component castable lining to approach the same cold face and heat loss as with boards. That is an 87% increase in wall thickness. This increases structural costs and floor space requirements. A 13½” thick 3-component lining using 5″ of Furnacon* 70 XR and 6″ of Plicast* LWI 20 with 2″ of K-FAC 19 comes closer in cold face temperature and heat loss to the BNZ Materials board system, but it doesn’t even theoritically equal it. This occurs even though the total refractory construction is 13½” vs the BNZ boards 8″ total! This is still a 68% increase in wall thickness. Conversely, if one were to build a castable furnace to the same thermal specifications as a board linede furnance, and keep the same outer dimensions, the a very large reduction in working volume results. Not until 4″ of K-FAC 19 are used with 4″ each of Furnacon 70-XR/National and Plicast LWI 20 are cold face temperatur and heat loss equal to the BNZ board system. This is still a 50% increase in wall thickness. Dense castables can take considerable abuse but are not as tough as perceived. Our Marinite A calcium silicate boards have better non-wetting characteristics than castables. Since they resist oxide penetration better to begin with, they require less aggressive and less frequent cleaning. In addition, the very nature of castables results in air holes on the hot face, even with the best vibrations. These voids are mechanical attachment sites where the aluminum adheres and begins the cleaning degradation process. Also, the additional toughness of a dense versus insulating castable is what increases the thermal conductivity to high levels, resulting in additional heat loss and wasted energy. This is incorrect because castables entail adding water, mixing, placing and curing. These are the final manufacturing steps and are subject to possible mistakes and variation in the field. Marinite boards have their manufacturing and quality control inspection finished at the Billerica plant before exiting. If mixing is too wet or too dry, the resulting castable will not cure to the predicted strength or density. Also, castable linings are difficult to cure and dry in the field, and most visible problems develop in this process. Cracks are the most common failure caused by drying too fast or unevenly. Low cement castables are difficult to place manually or via pumping, and, if not careful, can develop porosity or create artificial parting lines. Since Marinite and ZelieBlok are finished products, they give excellent consistency in density, dryness and structural integrity, hence, they do not have any of the aforementioned shortcomings of castabes. Board-lined furnaces have no water added; therefore, dry-out time is minimal and safety problems due to entrapped steam are eliminated. Board-lined can be pre-build in a modular fashion, dropped in place, and fully installed in a short time (sometimes one day). Baffles constructed using board can be replaced, unlike castable baffles. Typical castable linings have much greater heat storage vs Marinite linings, so furnace power requirements usually need to be increased to hold the same temperature. For all the above reasons, calcium silicate boards are preferred vs castables in low energy, die cast holding furnaces, and Marinite A is the preferred working lining, aluminum contact board. This is because it exhibits low shrinkage, superior hardness, low thermal conductivity and excellent non-wetting characteristics. We hope you will not only consider us but use our board system in your next die cast holding furnace rebuild or new purchase. Our distributor/fabricators would be pleased to quote your requirements. * K-FAC is a registered trademark of USG Interiors, Inc.